Lloyd Ritter is the founder and managing partner of Green Capitol, LLC. Since 2006 Green Capitol has specialized in clean energy and environment advocacy, strategic planning and public policy development. The company has advised a wide-array of businesses, trade groups and non-profit organizations including the Biotechnology Industry Organization (BIO), Distributed Wind Energy Association (DWEA), Iowa State University, Energy Foundation, Gevo, Dupont Danisco Cellulosic Ethanol, Environmental Law & Policy Center, Soybean Research and Development Council, The Wilderness Society and many others. Prior to forming Green Capitol, Lloyd was a Senior Counsel to the Senate Agriculture, Nutrition and Forestry Committee where he advised Chairman Tom Harkin (D-IA) and Committee Democrats on key policy issues. In 2002, Lloyd designed for then Chairman Harkin the first-ever energy title to appear in a Farm Bill, deemed “landmark legislation” at the time. He was also one of a handful of leading staffers orchestrating the passage of the first Renewable Fuels Standard, biomass and bioproduct and wind power amendments to the 2005 energy bill. Lloyd has a very long history of working successfully across the political divide, and with diverse constituencies such as E NGOs, agriculture and good governance organizations to help win policy victories in the broad public interest. Lloyd holds a Bachelor’s Degree in Political Science and Juris Doctor with Certificates in Environmental and International Law. 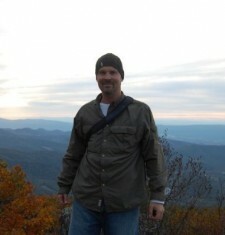 He lives in Annapolis, Maryland with his wife and two children.